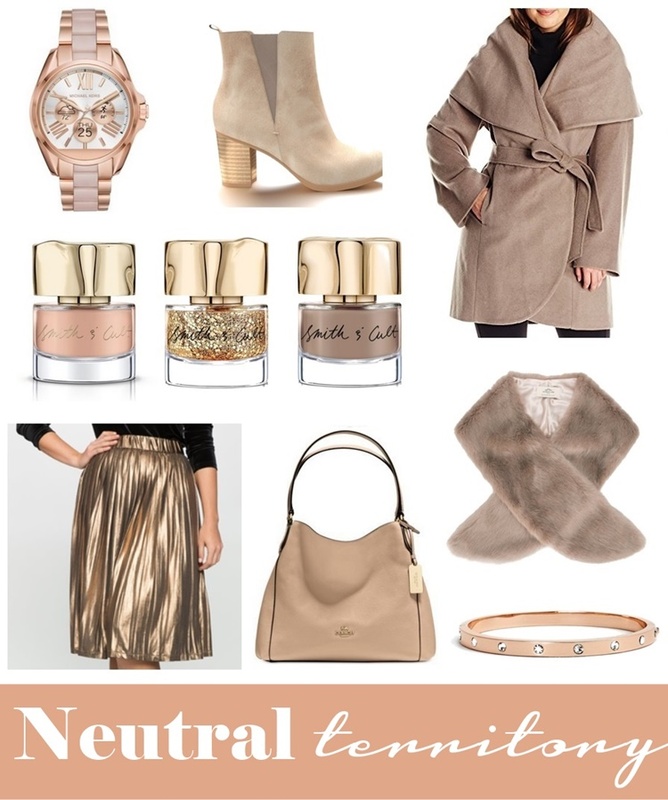 Lately, I’ve been all about a neutral palette. You know, the warm taupes, hints of rose gold, and dashes of metallic that essentially go with EVERYTHING. The minimalist color scheme is anything but basic, and one of the season’s sought-after trends. Just check out some of my favorites from across the web! From a luxurious robe coat that will keep you warm all fall-long, to buttery cream bag to carry seasonal essentials. To a metallic pleated skirt perfect for a holiday fete, and a smart watch that is just as stylish as it is functional. And of course, the perfect finishing touches - like a sparkly mani or a faux fur stole. These November picks will cross you over to neutral territory, STAT! I love all of these pieces! I'm in search of a metallic skirt and this one looks so good.